Located in the northeast of Kyushu, Oita Prefecture has an abundance of nature. It has a variety of seasonal foods from both the land and sea, including kabosu, yuzu (both citrus fruits), Seki saba [mackerel], and Seki aji [horse mackerel]. The prefecture is known for its hot springs, with both the most hot springs (4,411) and the highest volume of hot spring water (290,000 liters/minute) in Japan, and its promotion of tourism both domestically and abroad focuses strongly on hot springs. As it is located close to mainland Asia, in recent years there has been a noticeable increase in foreign tourists, particularly from South Korea and China. The prefecture is also encourages international students to study there, and according to a study of the 2014-2015 school year Oita was 9th in Japan. 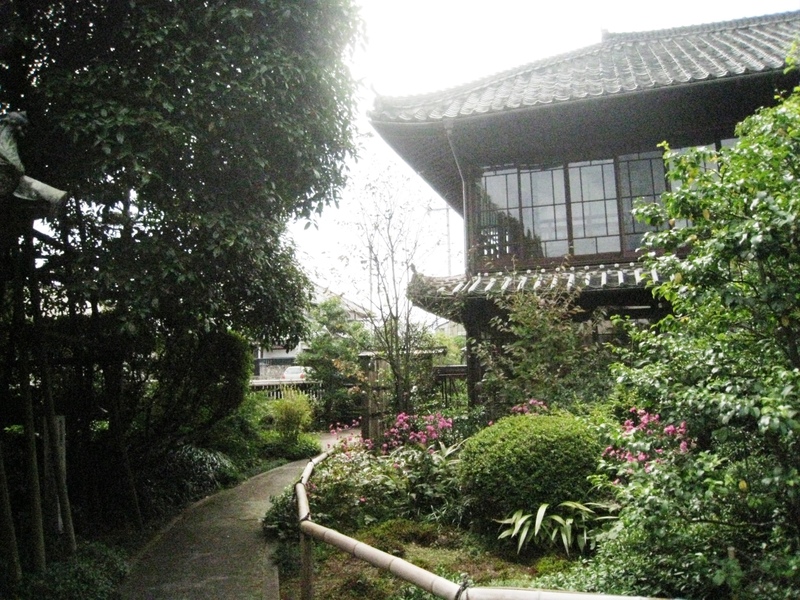 For universities specifically, Ritsumeikan Asia Pacific University (APU) in Beppu is 4th in Japan, with students of a wide variety of nationalities. The Oita Bank Dome (Oita City) has been selected as one of the venues for the 2019 Rugby World Cup, which will be held in Japan for the first time. Two press tours will be held to introduce the many attractive features spread throughout Oita Prefecture, where the flow of people and goods from both Japan and abroad is expected to increase in the future. A panoramic view of Beppu City can be seen from here. While looking at the view of Beppu, with steam rising from hot springs throughout the city, there will be a briefing on Beppu’s hot springs. There will also be the opportunity to film and photograph the city. 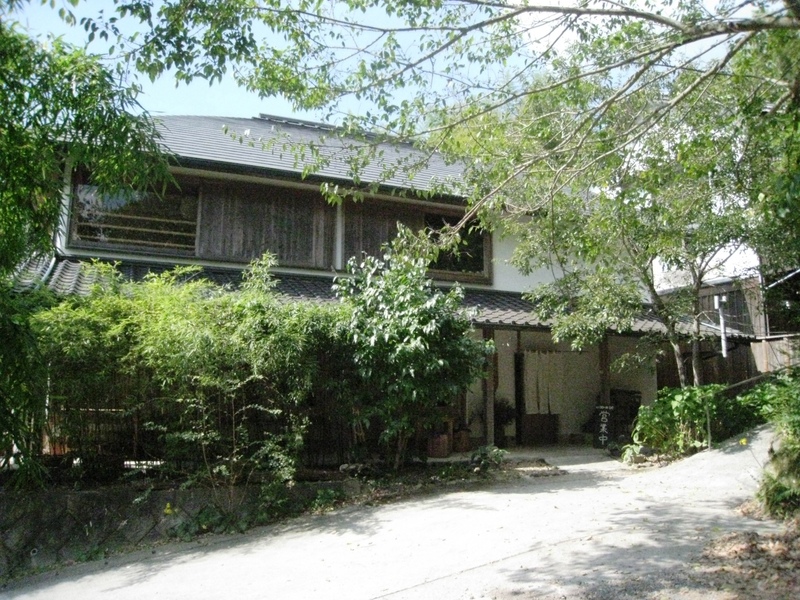 Built of wood and located in the Kannawa district of Beppu, Fujiya Gallery Hanayamomo originally started business as a ryokan (inn) in 1899. 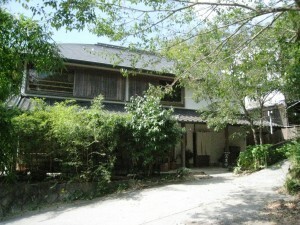 For years, it was known as one of the top three ryokan in Oita, but due to the building aging, it was renovated in 1996. Currently, half of it is used as the owner’s residence and half is a gallery café that acts as a meeting place for tourists and locals. *The tour will hear about the history of Fujiya Gallery Hanayamomo and about life in Oita, with its close connection to hot springs. 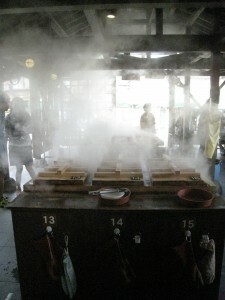 Jigoku mushi (hell steaming) uses the steam emitted from high-temperature hot springs for cooking. It has been a popular cooking method since the Edo Period at inns in Kannawa where people would stay for long periods to attempt to cure ailments using the hot springs. Ingredients such as meat, fish and vegetables are placed on a slatted bamboo dish and then put inside a jigoku mushi pot where they are cooked by steam of around 100°C. Since the food is cooked quickly by steam from hot springs containing salt, the original flavors of the ingredients are locked in. A project to use this jigoku mushi to attract tourists to Beppu was started a few years ago by the owner of a hot spring inn. It grew in popularity with women as a healthy cooking method, and has become a popular spot that frequently has lineups. *The tour will experience jigoku mushi and learn about traditional food culture in the Kannawa district. Oita Prefecture is No.1 in Japan when it comes to the amount of renewable energy produced. The reason lies in geothermal electricity, made using the same hot water and steam that is the source of the hot springs. No. 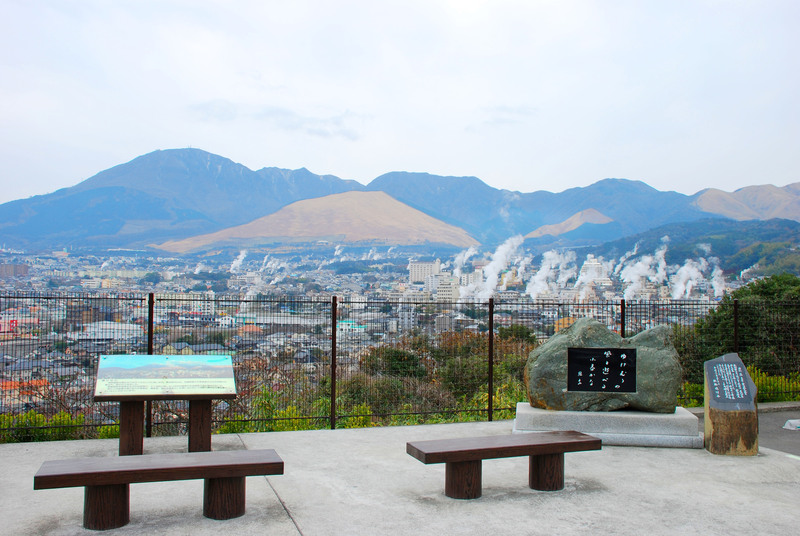 1 in the country for the amount of geothermal energy used, three massive power plants in the prefecture support residents’ daily lives. In order to use these resources effectively, the prefectural government has for years researched uses of hot spring steam. One such use is in floriculture. At this facility in Beppu, breeding and cultivation experiments are being carried out in a greenhouse warmed with hot spring steam. 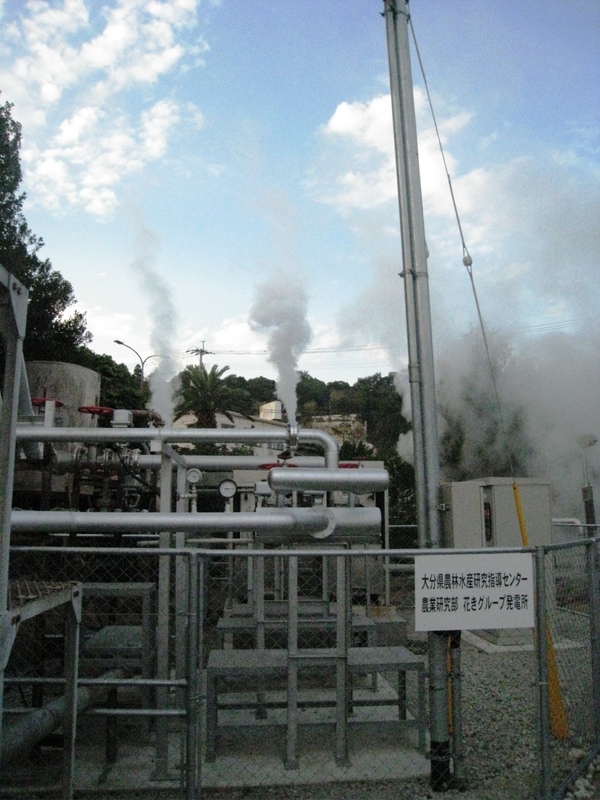 The facility also has a test unit for “hot spring steam electricity generation” develop by Turboblade, a startup company in Oita City. A world first, this system generates electricity using both the hot water and the steam from hot springs, with tests being carried out to make it even more practical. *The tour will hear about the energy industry in Oita Prefecture, the Floriculture Group’s efforts, and how the hot spring steam electricity generation works, as well as seeing the greenhouse and the hot spring steam electricity-generation system. Beppu City shares a close connection with Ms. Martha Argerich, a classical piano star from Argentina. She first visited the city in 1994, over 20 years ago. The Beppu Argerich Music Festival has also been held every year since 1998, and Ms. Argerich attends personally as General Director. To show thanks to Ms. Argerich, in the spring of 2015 Mr. Masakazu Shiiki, Honorary Director of the Argerich Arts Foundation which holds the music festival, built the Shiiki presents Argerich’s Haus. Ms. Argerich’s own piano named Martita is placed in a salon with extraordinary acoustics, making this a facility where citizens can enjoy concerts easily. *While touring the Shiiki presents Argerich’s Haus, joint projects between Beppu City and Ms. Argerich, such as educational activities using music, will be explained by Ms. Ito, a pianist who has close ties with Ms. Argerich. 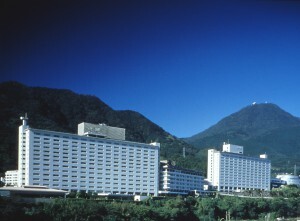 Suginoi Hotel opened in 1944, and is one of Beppu’s largest established hotels. It helped drive local economic development during the postwar economic boom, but business slowed in the 1990s, and in 2001 it applied for bankruptcy under the Civil Rehabilitation Act. 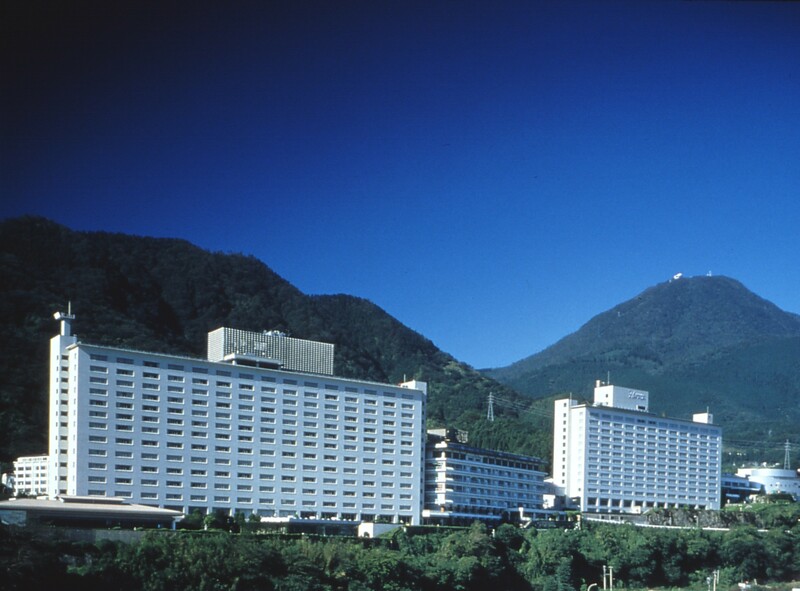 Management and operations were formed into separate companies, and with efforts including renovations of the older facilities, the hotel was successfully rehabilitated. Actively accepting tour groups from South Korea and Taiwan, it has become a model for internationalizing tourism business. The hotel is also one of the first private companies in the prefecture to incorporate geothermal electricity generation, and provides most of the electricity for guest rooms with its own geothermal generator. *The tour will visit the geothermal electricity generation facilities at the hotel, and hear about how the energy is used. 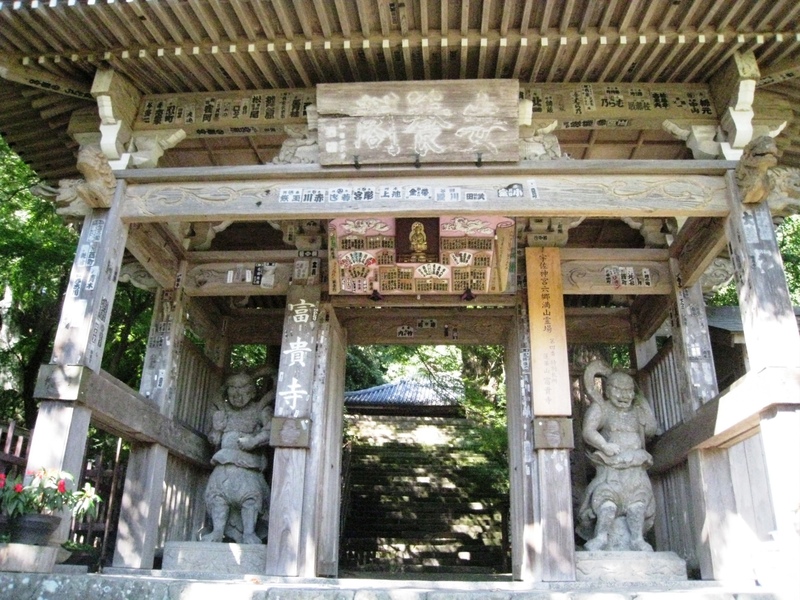 Located in Usa City in the Kunisaki Peninsula, Usa Shine is the head shrine of the 40,000 Hachiman shrines located throughout Japan. 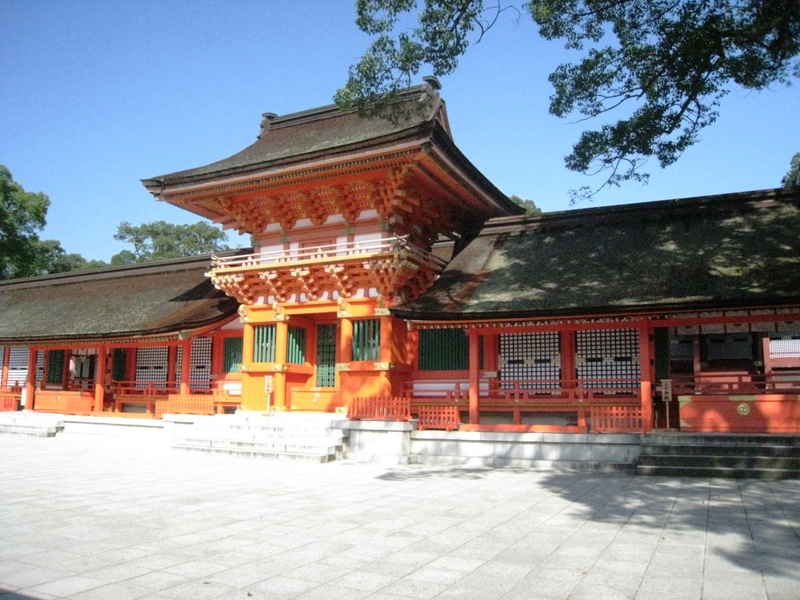 It started with the building of the First Palace in 725 to house Hachiman-ookami, the deification of Emperor Ojin. Since Miroku-ji Buddhist temple was also constructed on the shrine grounds, it was known as one of the centers of syncretic Shinto-Buddhist mountain worship, and Rokugomanzan (the name for temples in the Kunisaki Peninsula) had a major influence on the spread of Buddhist culture. 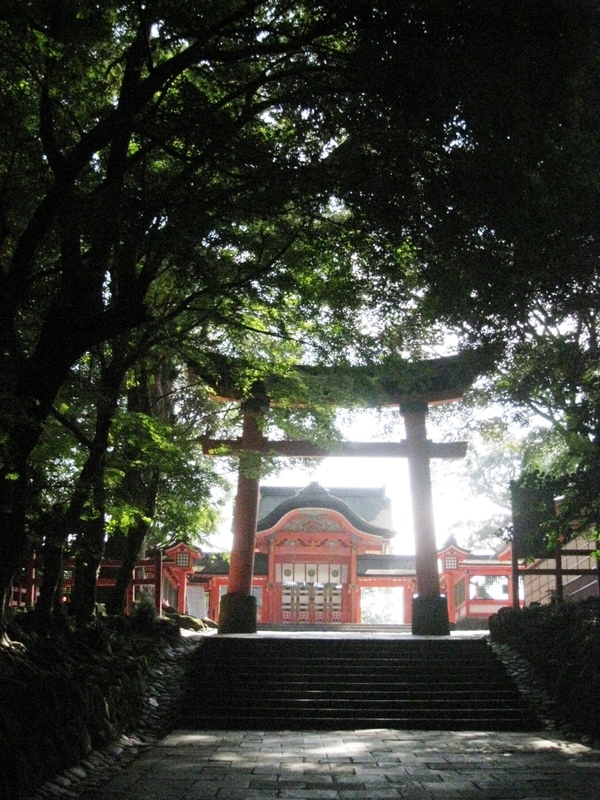 The spacious shrine grounds show the beauty of the seasons, and in recent years the shrine has implemented innovative plans, such as installing a monorail to the main shrine for visitors that are elderly or otherwise have problems walking. 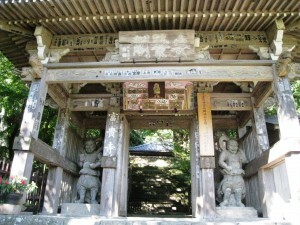 *While touring the Usa Shrine grounds, there will be a briefing on the history of Rokugomanzan and Usa Shrine. 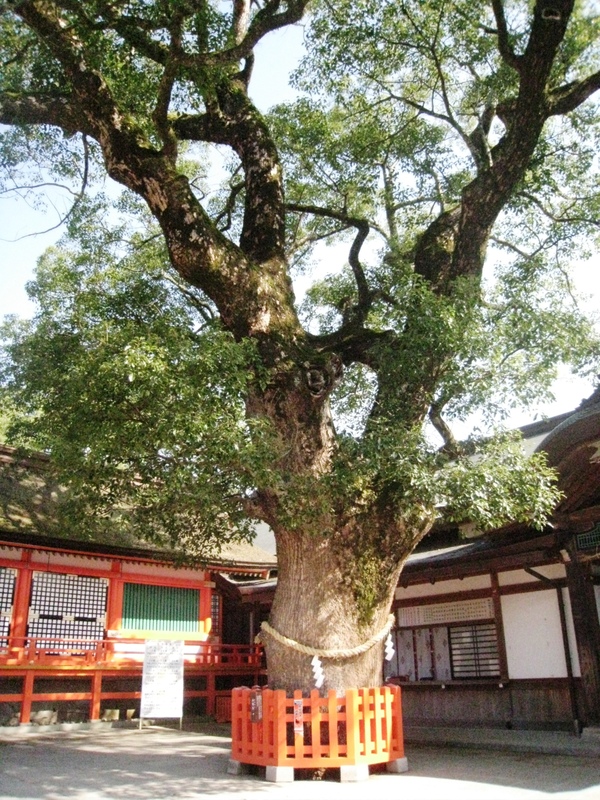 Fukiji Temple in Bungotakada City is one of the Rokugomanzan, and is a Tendai sect temple with connections to Usa Shrine that was established in the Heian Period (718). 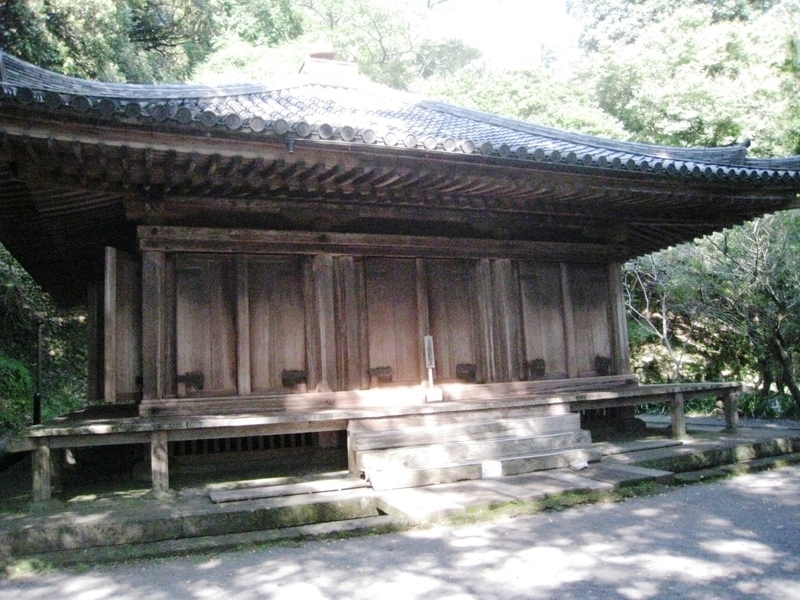 Its Amida-do (Fukiji O-do) is the oldest wooden structure in Kyushu, and along with Uji Byodoin Houodo and Hiraizumi Chusonji Konjikido it is one of Japan’s Three Amida-do, and designated as a National Treasure. The interior has paintings of paradise, and due to severe weathering it is only available for viewing on days when the weather is clear. With the decrease in parishioners and lack of young priests, management of temples in rural areas has become difficult in modern society. In light of this situation, ten years ago a hotel and restaurant was opened on the land beside the temple, complete with hot springs, and is managed by the head priest’s wife and the vice head priest. One of its selling points is traditional local dishes using only local ingredients. 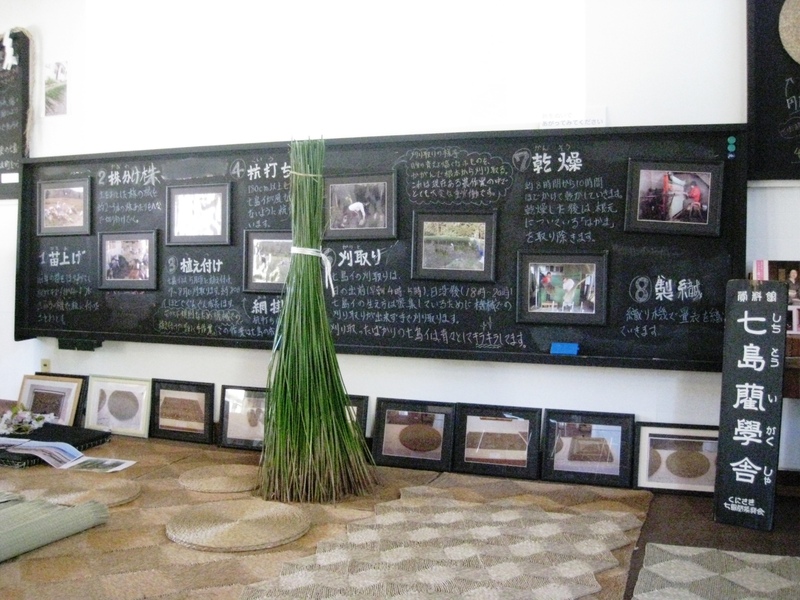 The soba noodles made by the vice head priest are also popular, and recently it has become popular with foreign tourists through word of mouth. Guests who stay overnight can try Zen meditation at Fukiji Temple in the early morning. *The tour will learn about the history of Fukiji Temple and the difficulties and differences in operating a temple in modern times. Due to its sturdiness, Ryukyu tatami has been used frequently, such as for the judo hall at the 1964 Tokyo Olympics. 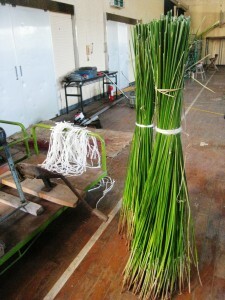 The materials used are not the soft rushes normally used for tatami, but Shitto rushes that grow only in the Kunisaki Peninsula. In the Edo Period, a local merchant brought the plants back from the Tokara Islands where they were cultivated, and helped them become adopted as material for making tatami. 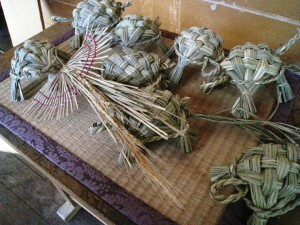 The material was valued for its color, texture, and durability, but due to the labor and skill required to cultivate Shitto rushes and process them for use in tatami, today there are only five farmers in Kunisaki City that grow them. 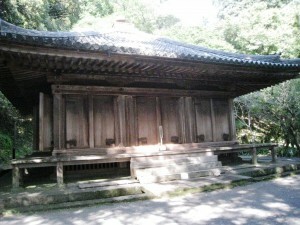 In an effort to pass on craftsmanship using Shitto rushes, local producers, companies, and tatami craftspeople formed the Kunisaki Shittoui Shinkoukai in 2010. 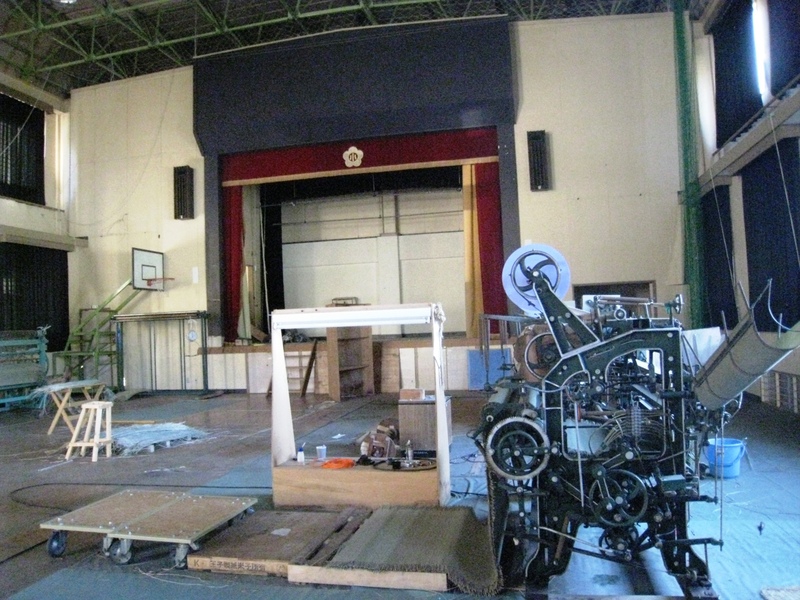 As well as working together to grow Shitto rushes, joint work spaces have also been established in the classrooms and gymnasium of an elementary school that was shut down. At this Shittoui School, they share the valuable looms for making tatami material. * The tour will listen to craftspeople who have found value in the Shitto rushes that are only grown in the Kunisaki Peninsula, and are working to protect tradition. (still camera and or ENG) . *Please use [Oita Press Tour (November 18-19) & Pre-event in Tokyo (November 6) as the subject of the email. (2) FPCJ will not be liable for any inconvenience, trouble or accident that might occur in the course of the tour. A pre-event will be held before the press tour at Zarai Oita restaurant in Ginza, which serves traditional cuisine from Oita Prefecture, in order to provide members of the foreign press with an opportunity to learn about the appeal of Oita. A lunch buffet will be available using plenty of ingredients from Oita Prefecture, and Director General Yuhiro Hirose of the Planning and Promotion Department of Oita Prefecture will explain the appeal of the area. 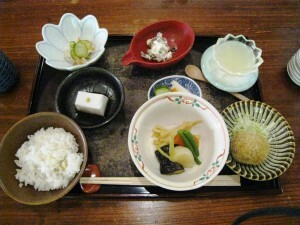 *Traditional Oita cuisine using fresh ingredients from Oita Prefecture will be available (buffet, eat while standing). *Feel free to attend, even if you cannot participate in the press tour.